XP-300 – Robust and reliable, with advanced diagnostics at the push of a button. 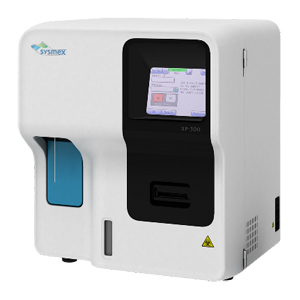 The XP-300 is an automated 3-part differential haematology analyser- perfect for laboratories needing robust, reliable service and high-quality diagnostic results. It boasts a range of features designed to make life in the laboratory easier including a touch screen and a unique reagent management system. It is also based on our SILENT DESIGN® concept, which optimises the user experience. The XP-300 offers 20 parameters at the push of a button, regardless of whether you are analysing a whole blood sample or or pre-diluted. Whether you use it as a primary analyser or as a backup instrument, the XP-300 is solid, hardwearing and robust. It will support you with reliable performance day in, day out, for years to come.